Strange betting activity on the Queens Park v Ayr game in Scottish League Two today. I had money on Raith, and the total traded on the game was £10k. Three of the other four games had totals of £11k, £7k and £7k with the total for Queens Park – Ayr a staggering £160k. Ayr were justifiable favourites at 1.85, and the price didn’t move dramatically, but for people to be putting thousands on such a game, I suspect they knew something. Ayr ran out easy 3-0 winners. I had all 16 bets matched, although I took lower prices on the Conference Regional league games than I initially asked for. One of my ‘goals’ this year is to make my football betting profitable. Football is my favourite sport. I grew up playing the game, and played it on and off into my forties. I can remember England winning the World Cup. I have spent more hours, and more money, than I care to remember watching my favourite team from the terraces and stands of over 60 grounds in England (and Wales), but what priceless memories they are. My first live game was in April 1967. My Dad wasn’t into football, but one of our neighbours in Purley was, and he had a son close to my age. He took us both to see Crystal Palace beat Birmingham City 2-1 in a Second Division game. His name was Bernard Ingham, (now Sir Bernard Ingham) who some of you may have heard of as he later became quite famous as Margaret Thatcher’s Press Secretary. Anyway, after that, I was hooked. So why is it that I find football so hard to make money from on the exchanges, when other sports are much easier? Essentially, the problem is that to make money from investing on sports, you have to be getting value. Football is such a popular sport that it is almost impossible to find an edge. This is especially true for the Premier League and Championship teams, although as I have said before, I suspect that less coverage of the lower leagues means more opportunity, but against this (as illustrated in dramatic fashion just last week) is that the lower in the leagues you go, the more likely it is that insider information will put you at a disadvantage. In-play is different from other team sports too. Key is that a goal in football is such a dramatic price changing event, and yet they happen all the time. (Well, not ALL the time, as anyone trying to make money laying the 0-0 will attest to.) After gently trending in a predictable direction from the kick-off, a goal is scored and the price resets after a brief suspension of the market. For sure, other sports have their ‘dramatic events’ e.g. an eagle in golf on the final day of a close tournament, a buzzer-beating three point shot in basketball, a six hit off the last ball etc. but they don’t come along as often as goals do. How do we find value in football? Pre-game, I am of the opinion that it IS possible to find value, although it is definitely not easy. There are a lot of people trying to do the same thing as you are. In-play, I am of the opinion that it is very difficult to find value. The market is very efficient, and if the price on a market is 1.5 with 30 minutes to go, then I think this is almost always very close to the true price. One exception is immediately after a goal has been scored, when there are value bets available sometimes before the market has stabilised. Fear and greed in evidence. Another thing to watch out for is that the market often overreacts to a sending off. Approximately one in ten games has a sending off, but not all sendings-off are the same. The timing is key, and also important are the score of the game at the time and whether the player is from the home team or the away team. But as a general rule, for me it is not easy finding value in-play. Back to pre-game punting then. As I have written before, I rate all the English and Scottish League (and top non-league) teams using a simple Elo based system. It’s fun, but can I make money with them? The selections I posted earlier are those that my ratings consider to be value. It is a very time consuming exercise to go through every fixture but I shall try it through the end of March, and see where we are with it. After March, we start getting towards silly-season for a number of teams. Mid-table teams start experimenting with new players etc. and form can become unreliable. I shall be posting the results. 11 solid gold Home value selections for this weekend: Everton (1.51), Chelsea (1.36), Bristol City (1.71), Burnley (1.92), Brentford (2.18), Chesterfield (1.87), Rochdale (1.56), Cambridge United (1.94), Forest Green Rovers (2.1), Raith Rovers (1.9) and Cowdenbeath (2.04). I have also backed the following Conference Regional League teams, but the liquidity is very poor so I doubt that I shall be matched on any of them. Alfreton Town (1.63), Gateshead (1.97), Eastleigh (2.34), Hayes and Yeading United (2.64) and Team Bath (2.02). 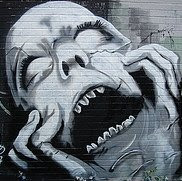 The mind of a gambler must make a fascinating case study for a psychiatrist. It’s human nature to remember the good things that happen in life, whereas the not so good things are consigned to the dustbins of our minds. For gamblers, the wins are readily recalled and related to others, the losses, not so much. Certainly not many gamblers will admit that they regularly lose overall, although some social gamblers I know are quite happy regularly losing a few quid, and winning on rare occasions, but for them it is entertainment. Personally, I don’t find the offices of my local Stanley Betting shop too much fun, but give me a casino and I’m quite happy to lose (a little) money playing craps – it’s the cost of entertainment. 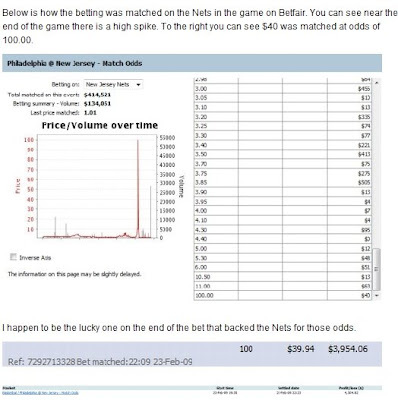 His latest post describes how he had a $39.54 back matched at 100 on the Nets v Sixers NBA game on Monday night. Now my ‘blink’ instinct was to wonder why he would wait almost two days to post such a tale. (Actually, my ‘pre-blink’ instinct was to wonder why he felt the need to do this at all!) Then I looked at the accompanying screenshot, (see above), and noticed that the total Traded was $40. Since Betfair count the traded total as the Back amount PLUS the Lay amount (e.g. a bet of $39.54 will show in the Traded column as $79), this bet clearly was never struck. I’ve posted a comment, but I’m sure it will be removed. I guess it took almost two days to come up with the screenshot. One of the rare times when I have a dabble on something I know nothing about, (other than football, which I do on a frequent basis), is the Academy Awards. Going to the cinema a few times a year does not mean I know anything about Sound Mixing! Of the 18 markets that I got involved in, 13 were won by the favourite - a trend I have noticed in the three previous years I have invested in this event. I use the Golden Globes as a reliable guide, the exception being the Leading Actor market where, according to the 'experts', the favourite (Mickey Rourke) was apparently not to the Academy's liking whereas Sean Penn was. They were right. As mentioned a few posts ago, I rather fancied Slumdog Millionaire to win the Best Picture (which goes hand in hand with Best Director) and having backed it at 1.24 (the 1.59 reported in the press was nowhere to be found) and was able to lay it off (just in case) at 1.06. Anyway, the biggest disaster was in the aforementioned Sound Mixing market where I dropped a not too cool £1,250, but winners exceeded losers leaving me overall up by just £350. Was I getting value on these bets? Probably, as it turned out, and it's only once a year I go wild and crazy. I was happy with a profit, and whilst it could have been much more, it could have been much less. The advantages of a few big winners and a few big losers is obviously that the Premium Charge will be mitigated next week. The sadness and despair of not having done my homework on Weymouth's situation and losing a tenner has been erased by the joy and delight of my best day so far this month, in fact my best February day EVER! Well, maybe 'best' is not the right word, as Valentine's Day has been very special for the past three years, but what I mean is that it was my most profitable February day ever. (My girlfriend sometimes reads this, so I have to word these things carefully). Anyway, I don't suppose this 'system' is a huge secret or even original, but I like to oppose NBA road teams when they are coming off an overtime loss the previous day, and though I seldom do handicap betting, this scenario is one exception. I do have other criteria that have to be met, and the basic theory is that the team is not only physically tired (both from the longer game and the travel) but also somewhat emotionally deflated, and with a decent sum available at evens opposing the New Orleans Hornets, I felt this was value. The Golden State Warriors duly obliged beating the -8.5 handicap by 4 points, and February is now my 6th best month since records began, and we still have a week to go. Now if only football was this simple. The nearest equivalent would be teams returning from an away game in Europe (preferably Eastern Europe) after an extra-time defeat I suppose. My Draw No Bet selection for today is Everton (away to Newcastle United). I have them priced at 1.81 but have backed them at 1.92. And before anyone gets too excited, this is not a tip. As with all my football bets right now, this is just an interest bet for a very modest sum. After all, you never know if Newcastle are going to field their Under-18 side! An interesting afternoon, with the highlight being Weymouth's 0-9 defeat at home to Rushden and Diamonds. (I'm a Palace fan - what do I know about 9-0 defeats!) I wrote that Weymouth 'appeared' to be good value, and certainly based on the ratings that was true. However, as I suspected, (and as Curly pointed out later), I was certainly missing something - the something being the Weymouth first team! The lesson to be learned is that these ratings can very soon be rendered obsolete by off-field events. A transfer deal can certainly have this effect, but losing the entire team is taking this to an extreme. Not that I ever like losing £10, but that was a cheap lesson and a reminder that although I suspect there is value to be found in the lower leagues, due diligence needs to be applied at all times. Quite funny really, and at least my Premium Charge will be slightly reduced next week! The other lower league investments could hardly have fared any worse, and they didn't, with the result of the day for me being the draw between Barrow and Grays Athletic. Finding draws may be what my ratings are best at. Worcester City and AFC Wimbledon obliged in the Blue Square South, and Oxford United, Cambridge United and Altrincham all came through in the Blue Square Premier resulting in a (very) small non-league profit, which, yes, should have been £10 more. It’s disappointing that the DRAW NO BET market on Barclay's Premier League games is so illiquid. For example, a paltry £84 as I write traded on Stoke City v Portsmouth. Aston Villa at 2.54; Stoke City at 1.92; West Ham United at 2.42; Wigan Atletic at 2.3. Putting into practice my belief that there may be more value in the lower reaches of senior football, I have a few quid on Weymouth (4.0) at home to Rushden and Diamonds (this ‘appears’ to be great value, but I fear I am missing something), Altrincham (2.08) v Woking and the draw (3.55) Kettering Town v Torquay United. The liquidity in the Blue Square regional leagues is poor. I have a few Mr. Optimistic bets out there, but I would be surprised if more than a few are matched. AFC Wimbledon might be one of them though. They are on a roll right now, and promotion beckons, and after that they are just one promotion away from the league. What a great achievement that would be. 2:56pm Update: I have also been matched on AFC Wimbledon (1.5), Worcester City (1.73), Cambridge United (1.48), Chelmsford (1.45), Altrincham (2.08), Fleetwood (2.48), Crawley Town (1.61), Histon (1.77), Oxford United (2.04) plus the draw at 3.45 in Barrow v Grays Athletic. Recent postings on the Betfair forum suggest that changes to the Premium Charge could be on the way. No details on that, but during the discussion, a Betfair employee commented in all seriousness that Betfair is not a monopoly and is in competition with the high street bookies. This seems to me to be a disingenuous statement at best. Betfair is in competition with other exchanges, and is a de facto monopoly. I believe they handle approximately 90% of exchange betting, although I honestly can’t remember where I saw this figure. It certainly sounds about right to me. They are certainly not in competition with the likes of Ladbrokes, Hills etc. These are traditional bookies who do not want winners. They want customers who, let’s be blunt here, are clueless about value and just want to have a bet. Social gamblers you might call them. As soon as someone starts winning, their business is declined. This happened to me in the early 80s when I had a credit account with Ladbrokes closed after I had won the enormous amount of something like £200. Betfair are an exchange and shouldn’t care who wins or who loses. They take their commission regardless. Their basic business model is that for every £100 lost by Mr. Loser, they pocket £5 (or so), and Mr. Winner pockets £95. For this model to be sustainable, it obviously requires a steady supply of Mr. Losers. How do Betfair ensure a steady supply of Mr. Losers? Not that easily apparently. With no high street presence, Betfair’s customers are by definition going to be more sophisticated. They need to be somewhat computer savvy for a start. It doesn’t take any effort to walk into Ladbrokes, pull out £20, and make a bet, but if you want to do the same on Betfair, there are rather more hurdles to overcome first. The typical Betfair customer is not the same as your typical high street bookie customer. Perhaps at this point we should rename Mr. Loser to Mr. Optimist. (He will become Mr. Loser or Mr. Winner later). No one takes the effort to open and fund an account with Betfair expecting to be a loser. Where did Mr. Optimist come from? I would suggest that while many are recruited as a result of advertising in the media, a fair number sign up as a result of hearing from Mr. Winner about the exciting possibilities Betfair offers. I would further suggest that this source has been somewhat reduced of late, since Mr. Winner is now paying a 20% tax, and for any non-trading bets, he is now sadly better off at the bookies. One can’t help but wonder if the business model here is flawed. It’s one thing to have customers wander into a bookie week after week throwing their money away, deluding themselves that the occasional win means they are slightly ahead overall, but it is quite another to get a customer to keep transferring funds from his/her bank account when the true (losing) record of their betting history is readily apparent. Mr. Winner, Mr. Loser and Mr. Optimist are made up names. Any similarity to real people, living or dead, is strictly coincidence. No such persons were harmed in the making of this blog entry. I was comparing the first half of this NBA season with last year, (I do love my stats), and I am slightly up (2.22%), but one thing I hadn’t realized before today was that I actually lost money after the All-Star break last season. The remainder of the regular season was profitable, but it appears my strategies don’t work so well in the play-offs (where I lost 12.57% of my profits) for some reason. Fore-warned is fore-armed they say, and the great thing about bad losses is that they are so much easier to improve on. Simply staying out of the play-offs will work in fact! I've noticed this trend in other sports as well. As a general rule, it is easier for me to make money in lower profile games than in 'big' games. Continuing on the subject of physical reactions to wins / losses, and something else I’ve noticed proof of is that time is not a constant. We all know from our physics lessons that time is relative, and that time slows down the faster we approach the speed of light. (Indeed, it has been suggested that my youthful appearance today is proof of this, since in my younger days I was quite the sprinter…), but I also suspect that time speeds up when I find myself in a high-stress situation. I need to make a decision fast, but often don’t make it quite fast enough when under stress. I decide to cut my losses on a trade and close my position, but by the time I place the bet, the price has moved. I hesitate to close out at the new price, but decide it is the best decision. So I enter the new bet, and again the price has moved against me. If my theory is correct, then it explains why people in stressful situations age so quickly. Incidentally, how frustrating is it that whilst time-travel into the future is theoretically possible, there is no way back to the past to place that guaranteed bet! My incredibly patient, understanding and quite beautiful girlfriend has to put up with a lot from me, including knowing how to deal with me when my investments don’t go quite according to plan. I hadn’t really given it much thought before, but she commented yesterday that I have different emotional states when losing. Now, whilst I am getting better at avoiding the big losses, (learning from mistakes of the past), every now and again I still do something that makes me question my sanity. And as professional as I try to be in my approach, I am still subject to those emotions that drive the market, fear and greed, however much I try to control them. I back teams at too low a price, or I lay teams too high. Losses are part of the business, but there are ‘good’ losses, and there are ‘bad’ losses. An example of a ‘good’ loss is where I have layed a selection at a price I consider too short, but it goes on to lose. Fair enough. If I’m laying at 1.1, I can expect to lose a fair number of these bets, and I cope with these very positively, even if I do say so myself. Bad losses I don’t handle quite so well. An example of a ‘bad’ loss is where momentum is heading one way, seemingly irreversibly, and I jump on the bandwagon just as it shudders to a screeching halt and there is that sickening realization that ‘this is not a good move’. Essentially, good and bad losses are defined by whether or not the bet was value at the time it was struck. So how do I react physically to these different scenarios? Good losses, I’m calm. I don’t mind those (too much). Bad losses? Well, here it gets a little complicated. As my girlfriend pointed out, sometimes I am banging my desk, shouting out expletives and basically being loud and obnoxious, whereas other times I go very quiet. My worst ever loss, £5,000 on a football match, resulted in my being overwhelmed with tiredness. I literally had to go and take a long nap. Thinking about this, I’ve realized that I am loud when the setback is sudden (an interception in American Football for example), but where the setback is slow and drawn out, this is where I go quiet (e.g. I’ve backed a team with a good lead, and slowly but surely the other team comes back). Wins are handled similarly. A win snatched from the jaws of defeat is greeted with loud yelling (is there any other kind?) and on occasion some crazy dancing and gesturing around the living room, whereas a win that I am expecting is treated rather more demurely. Although if the amount is substantial enough, the stupid dancing and arm-waving still happens! So Slumdog Millionaire is available at 1.53/1, "in line with international betting websites"! The Academy Awards are one of the few non-sporting events that I get involved in. They can be quite lucrative, but I recommend closing out before the event goes in-play. Liquidity thereafter is very poor, and if you are left holding a position, it can be tough on the old ticker. MUMBAI (AFP) — Indian gamblers are staking big money on "Slumdog Millionaire" winning the best picture, best director and best music awards at this year's Oscars, a report said Tuesday. The Economic Times said that an estimated one billion rupees (20.5 million dollars) was riding on the outcome of the Academy Awards, for which the hit British film with an Indian cast and crew has 10 nominations. With the exception of casinos and lottery games in some states and despite Indians being among the world's most enthusiastic gamblers, organised betting is illegal in India and largely an underground activity. "We are accepting bets for three things -- A.R. Rahman (best music category), the movie (best picture category) and Danny Boyle (best director category)," one unnamed Mumbai-based bookmaker was quoted as saying. Another in the city of Ahmedabad, in neighbouring Gujarat state, said betting on "Slumdog" has been gaining momentum since the end of a recent cricket match between India and Sri Lanka. "Bets worth (200-300 million rupees) have been accepted in my circle in the past few days." Odds for "Slumdog" winning best picture are being offered at 1.53/1, in line with international betting websites. Indian bookmakers put Boyle as 1.55/1 to win; and Rahman at 1.25/1, the business daily said. The Oscars take place on February 22. If you want to be able to generate results similar to those shown above, visit http://www.juicestorm.com/betfairgen/ and fill your boots. It appears that Roman Abramovich reads this blog. As a result of seeing that Chelsea’s failure to beat Hull City on Saturday was the only blemish on my Saturday Premier League investments, he has decided to fire Luiz Felipe Scolari after less than 8 months in the job. Apparently fifth place in the Cassini Ratings And Performace (CRAP) standings is not good enough. Of course, it is possible that this is just a coincidence, but was Chelsea’s decision to act so ruthlessly driven by Portsmouth’s not so unexpected sacking of Tony Adams? (Portsmouth are ranked above only West Bromwich Albion, Stoke City and Bolton Wanderers). Possibly Chelsea are so keen to snap up Adams that they realized they had to act fast and get rid of Scolari, but I will not be putting too much on Adams in the Next Chelsea Manager market. In fact, I won’t be putting ANY money on ANYONE in this market, unless my son gives me some inside information as to who they might have in mind. February football is off to a profitable start, with my ratings producing six winners from seven games in the Premier League yesterday. The only loser was Chelsea who were expected to beat Hull, but at 1.31, I didn’t back them anyway. Having given my Elo based ratings a few months to settle down, they are still a work in progress, but I am starting to use them with a little more confidence. Early results seem to suggest that the value is when my ratings predict a lay of the home team. Aston Villa, Newcastle United and Fulham all obliged. For the record, Arsenal and Manchester United are not surprisingly rated to follow suit this afternoon. I am still researching the best way to use the ratings. For example, I picked the Wigan - Fulham game as a draw based simply on the fact that the two teams were rated so closely (1168 and 1161 respectively), and the draw 'seemed' to be a value bet. I'm looking for something a little more scientific. As for the ratings, Manchester United (2456) are far and away the top rated team in the Premier League, ahead of Liverpool (1966), Aston Villa (1788), Arsenal (1721) and Chelsea (1581). The other top ranked teams in the leagues I track are currently Cardiff City, Leicester City, Darlington, Burton Albion, and AFCs Telford and Wimbledon. In Scotland I have Rangers, St. Johnstone, Raith Rovers and Cowdenbeath. From table-toppers to table-proppers I have West Bromwich Albion, Charlton Athletic, Cheltenham Town, Chester City (not a good time to be a team starting with ‘Ch’ apparently), Lewes, Solihull Moors, Fisher Athletic, Inverness Caledonian Thistle, Queen of the South, Stranraer and Elgin City. From now to the end of the season will give me four months to see whether the effort is worthwhile. If it is, then I may start rating some of the overseas leagues as well. It may be more profitable to use these ratings for promotion / relegation markets – it’s something I’ll be tracking. 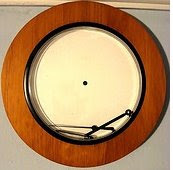 A respected member of the Betfair Forum (there’s not too many, but this guy is one of them) has suggested another way in which the clock can be ‘beaten’. In essence, the idea is the same as the one I mentioned a couple of posts back, whereby a bet would be submitted but would not reach the market after 5 seconds because of a block. In the original method, this block would be another bet on Betfair, one that meant that insufficient funds were available for the new bet to be placed. If the desired event occurred during the five seconds, the original (blocker) bet would simply be cancelled (cancellations being instantaneous) and the new bet allowed to hit the market a second or two later, thus beating bets that are submitted after seeing the event. The newly revealed strategy was illustrated using a tennis match as an example. Player A is serving at 4-5, 30-40. Obviously this is a key point, and just for demonstration purposes, the ‘true’ price on Player B is 1.8. If Player B should win the point, the price will drop to 1.4, so the strategy is to put in a lay at the front of the queue, say 10k at 1.8. Then while the point is being played you submit 1k bets every second or two at 1.5 using an API. If the bet reaches the market before the point is decided, you will be self-matched. If the point is won by Player B, the lay is cancelled and some of the bets submitted at 1.5 will hopefully be matched at close to 1.8. If the point is won by Player A, the lay is not cancelled, as 1.8 is now good value to lay. And that’s it. Personally, I would be very wary about employing this strategy. Unlike the first strategy where the bet effectively bounced, this system allows bets you submit to hit the market so you are therefore at risk of getting matched at poor value. (You cancel the 1.8 lay and could get matched at your requested 1.5). This risk is probably small in a liquid market, but there is also the problem of trying this in a market where others are doing the same thing and your lay is not that easy to place at the front of the queue. Not to mention that a court-sider could quite feasibly match your 1.8 on seeing Player B win the point before you can cancel it. In his latest post over at http://talkbet.typepad.com/talkbet/ Jon reminded me of one of my earliest ventures into the world of gambling. Back in the late 60s at school in Croydon, I used to write out the fixtures from the 22 Division One and Two games (as they were then) each Saturday (as it was then) and anyone interested would put their name at the top of a column and predict the result, home, draw or away. Each line would cost an (old) penny, and the top three winners would receive a payout of 60%-30%-10% after I had deducted my operating cost of 2d. (Since my pocket money at this time was an old 6d, this was quite a tidy sum). Those were the days. As for Jon’s comment about following your first hunch, he may have a point. A commenter recently asked me if I had read Blink: The Power of Thinking Without Thinking by Malcolm Gladwell. I have indeed. I think he could have included something along the lines of "…when you see a price displayed on a betting exchange during an in-play event, that your mind immediately recognizes as one that should be matched as it represents (for you) value”. To anyone interested in trading in-play, I strongly recommend this book. The message is to trust that first instinct, because it is usually right. If you watch markets moving day after day, you subconsciously get a feel for what is normal, and when a price is outside of those norms, your subconscious recognizes this before your conscious side has time to analyse it. Don’t sit there thinking about it. Grab it. For anyone using BETDAQ, be aware that it appears that API users can beat the clock there using the method that was used on Betfair a few years back. For those who don’t know, the method was essentially to submit a bet just prior to a potential price-changing event, and to cancel it four seconds later if the event did not occur. For example a bet would be submitted just as a bowler made his delivery, and if a wicket fell, the bet would not be cancelled. Betfair closed this loophole, but it is being reported that, by using an API, this same method still works on the BETDAQ site. Also, on Betfair, it appears that the 8 second delay on Spanish games is no longer enough. From the Betfair forum are a number of stories of bets being hovered and large sums of money appearing just prior to the Suspension in several games. I didn't get a chance to write about the last episode of Million Dollar Traders before, but while I await a goal in the Liverpool v Chelsea game I do have a moment. It was quite a dramatic episode, with one firing, and three 'in-sympathy' walk-outs, leaving just three traders. The group ended up slightly down over the period, but ahead of the hedge fund index for the same period. 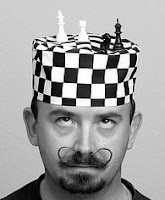 One trader summed up the experience as like "playing chess against the rest of the world" - a sentiment I share and have commented on before myself. The boss man, Lex, showed an astonishing lack of mathematical understanding when he said that in one month he made 0.3%, the next he lost 1%, so overall he was down 0.7%. What? Admittedly with those numbers, he's close, but if I make 50% in one month and then lose 50%, believe me, I am not even. Time flies like an arrow (sorry, can’t resist it – ‘and fruit flies like bananas’) and it’s hard to believe that February is here already. Despite the Premium Charges which are proving to be a bit of a setback, January was my second best month ever, behind only January of 2008. Of course this means that with Betfair’s 60 week rolling time-frame for calculating how much to steal, I mean deduct, from our accounts, my two best months ever are both currently being included. 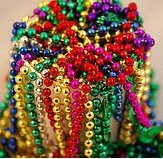 Roll on March, or perhaps I should say ‘roll off January’. I’m not sure why January has proven to be such a good month for the past two years, although in the interest of full disclosure I should add that January 2007 was my worst ever month. I don’t consciously do anything different (except in 2007, but I learned my lesson from that), but January certainly seems to be a month of extremes. February is at the other end of the scale, ranking 9th with a daily average just 26% of January. Why so much lower? Only one NFL game, and the NBA All-Star break means less matches could be two reasons. Valentine’s Day means a forced break in investing (although how fortuitous that this year it falls on the same weekend as the All-Star break.) My February luck is changing already. As for today’s Superbowl, it’s hard to see the Cardinals amazing run continuing. I fancy their luck to run out against a hard-hitting, experienced Steelers team who have a lot of players who won it all as recently as 2006. If you’re punting on the game, take the Steelers -6.5.